The Garter Girl, created by Julianne, is known for her Stylish Wedding Garters & Modern Heirloom Bridal Garter. 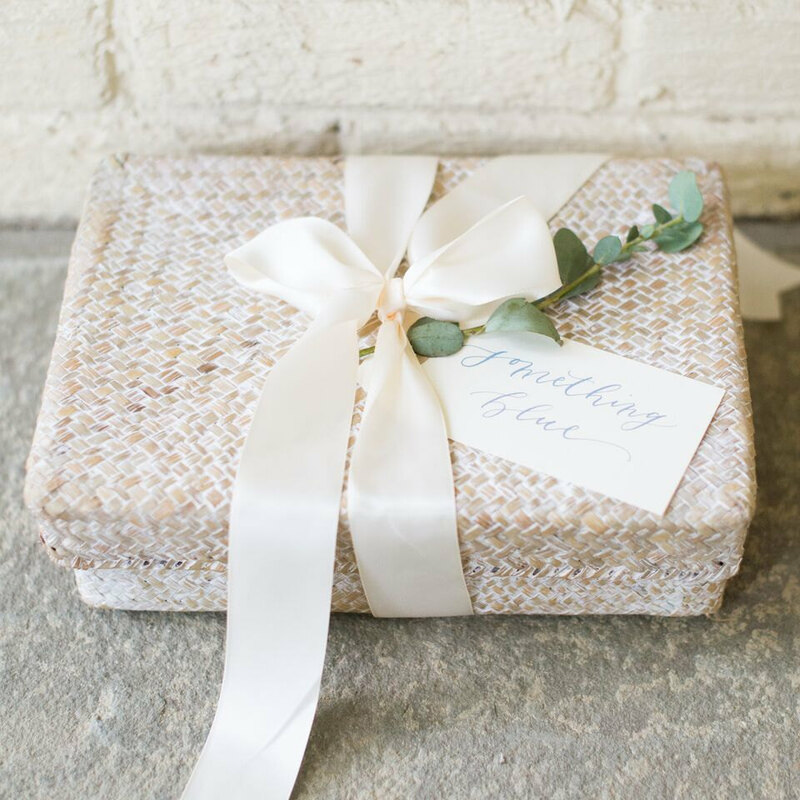 I'm loving that she's now collaborating with artisan gift designer, Jamie of Marigold & Grey, to bring you two exclusive bridal gift sets that you will love. Each curated bridal gift box comes with one of Julianne's stylish wedding garters tucked inside. There’s the Blush Gift Set and the Something Blue Gift Set. Wait until you see the goodies tucked inside each of the boxes. This is the ultimate blush gift for the bride. It's the perfect gift choice for a bridal shower or something special for the bride. This gift box includes a modern heirloom bridal garter and carefully curated surprises that are sure to spoil the bride-to-be. 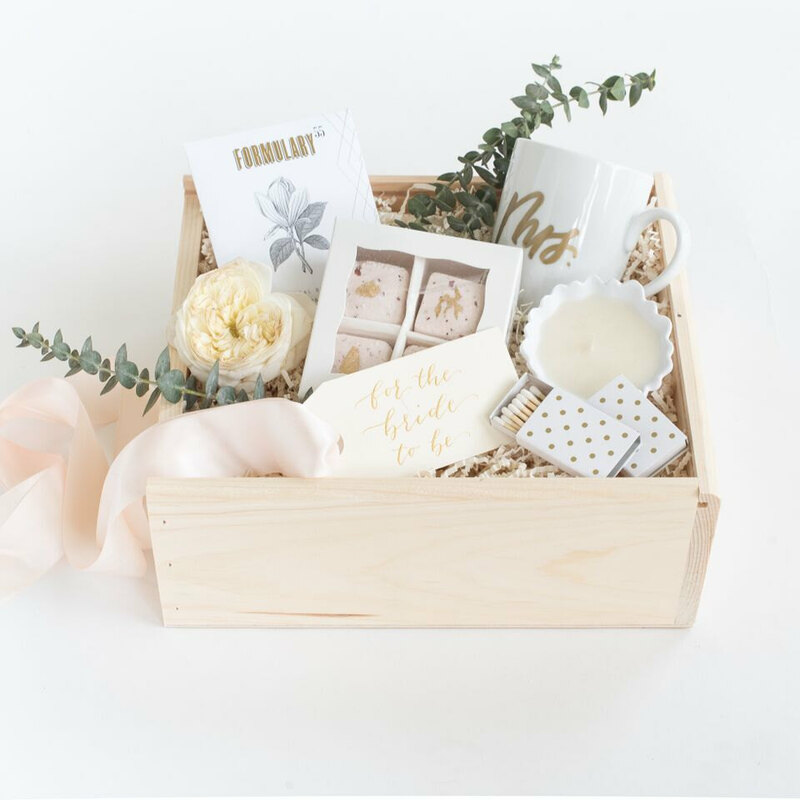 This Blush Wedding Gift Box includes a pine wood slide-top box, one “For the Bride to Be” calligraphy gift tag, gold lettered Mrs. mug, Petite Four bath bombs, Formulary 55 body scrub, candle in French lavender scent, and two gold polka dot matchboxes. This something blue bride gift is the perfect choice for an engagement present or a bridal shower gift. The bride to be will love the thoughtful treats that are tucked inside with the pretty bridal garter. 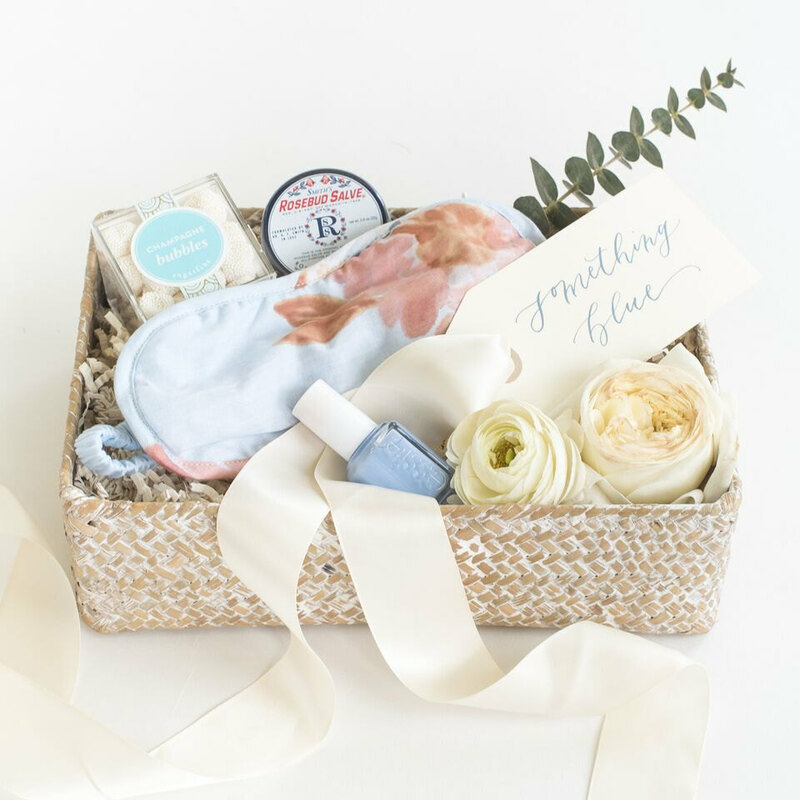 This Something Blue Wedding Gift Box includes a whitewashed seagrass basket, a “Something Blue” calligraphy gift tag, Essie nail polish in “Borrowed & Blue”, Rosebud salve, Plum Pretty Sugar eye mask, and Sugarfina Champagne Bubbles gummies.